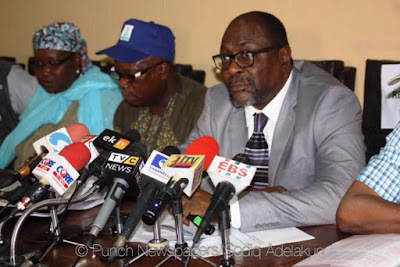 The candidate of the National Conscience Party in the September 28 Edo governorship election, Pastor Peters Omoragbon, said the flaws observed during the election were not strong enough to cancel the exercise. He said this in an interview with the News Agency of Nigeria in Lagos on Sunday. Omoragbon said the Edo election was one of the best conducted so far in the country. He added that those calling for its cancellation were doing so in bad faith. He said, “We have witnessed other elections, including common local government election in some states where people were killed or kidnapped. No single soul was lost in the Edo election and I think that was great. “During campaigns and election, I and my supporters did not receive any threat from other party members. There were some flaws though, but not strong enough to cancel the election. I give INEC 96 per cent for performance. Those calling for cancellation are doing so because they lost. Omoragbon then congratulated the Governor-elect, Mr. Godwin Obaseki, and urged him to form an all inclusive government with the best. He described the election as a model for other states and urged losers to join hands in building the state. “Any aggrieved person should go to court. Election to serve the people should not be a do-or-die affair. “Political party in power should encourage their members in authority to give dividends of democracy to the electorate,” he added. In a separate interview, the National Chairman of NCP, Malam Yunusa Tanko, said the party was satisfied with the conduct of the election. Tanko said they were happy as the exercise was crisis-free, stressing that the party had accepted the result of the election. “There was orderliness in Edo governorship election. For us in NCP, we are satisfied with the outcome of the election. “I commend INEC for a job well done. I give them 85 per cent for their performance. I know they can improve on this in other elections coming up,” he said. The NCP chairman also congratulated Obaseki for the victory and urged him to improve on the lives of Edo people by avoiding anti-people policies.